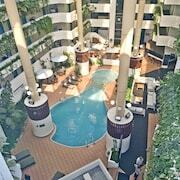 If we were meant to stay in one spot, we'd have roots instead of feet — so make like a tree and leave to Mandurah! 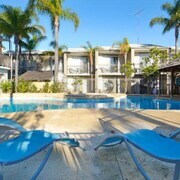 2 kilometres from the heart of Mandurah, lastminute.com.au has a hotel to suit your style, whether you want to splash some cash or keep things low-key. You probably want to know what you can do around these parts, right? We recommend kicking off your sightseeing at Penguin Island, one of Mandurah's best attractions. Browse the items that Gourmande Delights has for sale. You may come across the perfect souvenir for a friend, or even yourself. Once you're done exploring, rest your noggin at a comfy hotel close by. 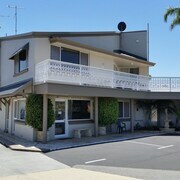 The Mandurah Family Resort and Mandurah Motel and Apartments are worth checking out. The maps at Mandurah Visitor Centre are bound to help you get around the area. 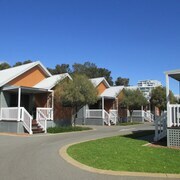 Accommodation options to look into around here are the Seashells Mandurah and Dolphin Quay Apartments. Away with your BFFs but need a bit of downtime? Fancy just chilling with a mag and a hot coffee? Then why not find a quiet place to sit in Samadahi Cafe? When your belly really starts carrying on, toddle on over to Peles Pizza and take a look at their mouthwatering menu. If all that grub has left you feeling like a beer, Silversands Tavern is practically around the corner. It's an awesome place to pull up a stool and get to know the locals! 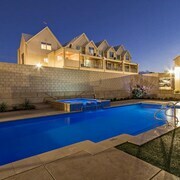 You and the squad having issues snagging a place to stay in Mandurah? 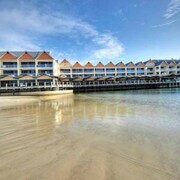 If so, the Beach Front - The Wedge in Halls Head and the Mandurah Quay Resort in Erskine are nearby options that are worth looking at. 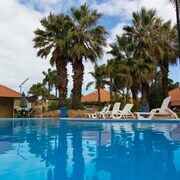 From flights to hotel rooms and rental cars to experiences, we'll make it easy! All you've gotta do is turn up and start sharing your #IntrepidTraveller moments.